A NYC hard had suffered critical injury after he fell from scaffolding at a church construction site in Williamsburg, Brooklyn. The man who was employed by 4M Construction was doing brick work on the Trinity Grace Church located at 231 Ainslie Street in Williamsburg. He was on scaffolding when he fell two stories onto the sidewalk shed. The accident occurred Monday afternoon around 2pm. The emergency responders rescued the man and rushed him to the hospital. A neighbor told the NY Daily News that he previously called 311 because he was worried about the unsafe conditions at the construction site. A construction worker died in a scaffolding accident in New York City last Sunday. The 58-year-old hard hat was working on a construction site located at 1382 Nostrand Avenue in East Flatbush, Brooklyn, NYC. The man was found on the ground by a paramedic team. He was transported to the hospital in critical condition. He didn’t survive his injuries and was pronounced dead shortly after his arrival at the hospital. A preliminary investigation by the Occupational Safety and Health Administration (OSHA) indicates that a part of the scaffolding went vertical causing the worker to fall. The site was immediately issued a stop work order by the NYC Department of Buildings. The building and the ex building owner have a long history of violations, neglect and non compliance. 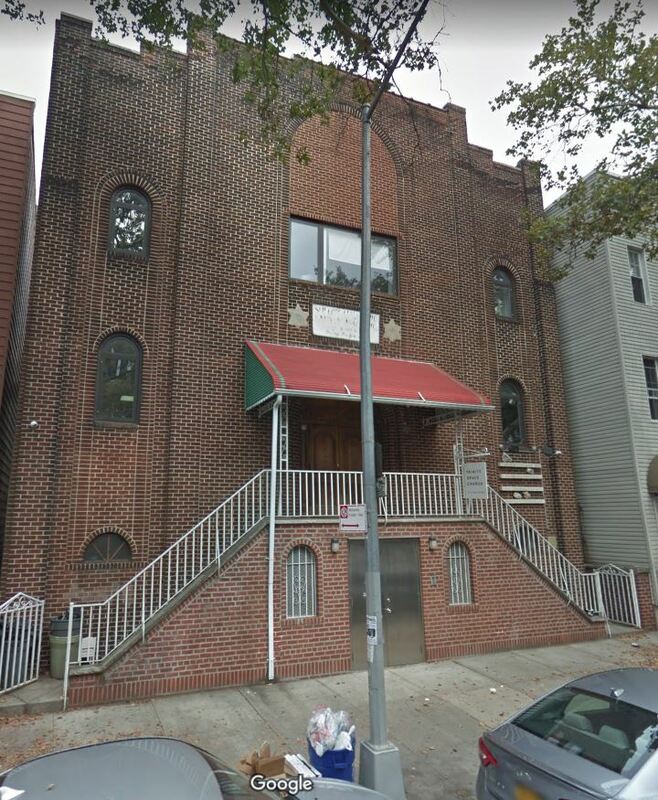 This building as well as another one next door located at 241 Linden Blvd were sold to an LLC associated with investor Steven Vegh for $3.7 million in December 2016. They previously belonged to Lewis Alleyne and other associates. Lewis Alleyne is a Brooklyn slumlord who miraculously escaped jail in 2011 after failing to fix more than 500 building violations and ignoring fines. Together this building and the other building located at 241 Linden Blvd have lost all but 3 of their rent stabilized apartments between 2007 and 2014. The building where the construction worker fell has several open violations some of them immediately hazardous such as defective stairs and windows and exposed lead paint. Also it wasn’t exactly clear what type of work the man was doing on Sunday. Despite all the violations the owners were able to get a permit for a sidewalk shed. 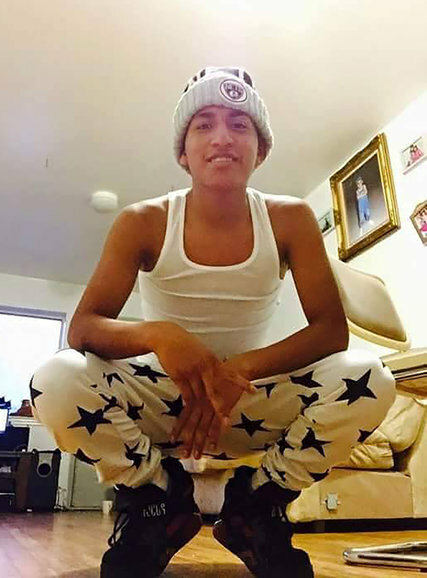 18 year old Fernando Vanegaz died in a construction accident in Brooklyn, NYC, in September 2015. Two of his colleagues were also seriously injured in the accident. 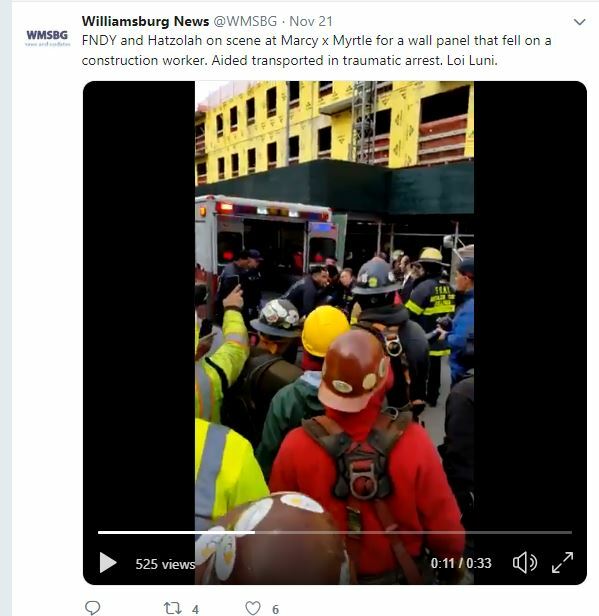 The construction workers were hired by Michael Weiss an unlicensed contractor who was running an illegal construction site. Michael Weiss asked the workers to dig in an area where the NYC DOB had ordered not to excavate. The workers didn’t have much experience in excavating. When they asked for back up, the contractor ignored them. He also refused to provide any underpinning, shoring or bracing after workers noticed a crack in a wall. Several times the workers expressed their concern about the crack in the wall, fearing for their lives. The contractor continued to ignore them. Then the tragedy happened, the wall collapsed, killing the young Fernando Vanegaz and seriously injuring two other of his co-workers. Both of them had to go through multiple surgeries for injuries to their spine, skull and facial bones. The reckless contractor is now facing up to 15 year in prison. A construction worker fell to his death in New York City on Friday morning around 8:00 am. 59 year old Wilfredo Enrique was working on the facade of a new residential development when he fell to his death. 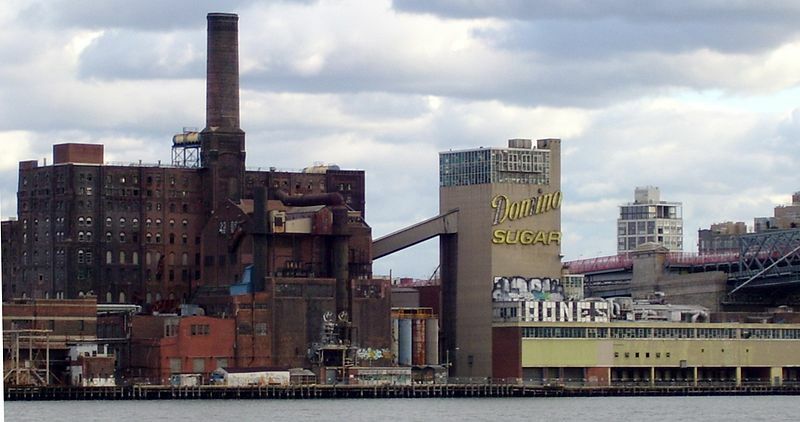 Enrique was employed by Two Trees Management and was working on the construction site located on the old site of the Domino Sugar Factory in Brooklyn. After the accident the site was closed and investigators were working on determining the exact cause of the fatal accident. According to the most recent complaints reported on the NYC Department of Building website, the scaffold didn’t meet the building safety code standard. The worker fell approximately 4 floors from the master climbingwork platform, after Two Trees Management failed to safeguard the platform. Since the construction started 41 complaints have been filled. The Department of Building issued a total of 27 violations, most of them immediately hazardous. 3 of them were still open at the time of the accident. Among the open violation were the use of rigging equipment by a non licensed rigger and the failure to safeguard all persons and property affected by the construction operations. The accident occurred just a few weeks after the death of two other NYC construction workers in Queens (see previous blog). According to Union representatives, Enrique is the 29th construction worker who died over the last two years in New York City. The boom in the construction sector in New York has led to an increase in construction jobs in the city. In 2015, the New York Building Congress recorded 138,200 construction jobs, the highest in 40 years. A construction worker died after falling from a scaffolding in New York City. 31 year old Michael Buffamante was working on scaffolding at the Coney Island Wastewater Treatment Plant in Sheepsheadbay yesterday. He was installing dechlorination equipment. A little after noon he fell from his scaffolding into a 35 foot-deep sewage tank filled with wastewater and chlorine. FDNY divers ran to the rescue and found the young worker lying at the bottom of the tank. They brought him to the surface. The worker was in cardiac arrest after having been in the water approximately 8 minutes . The paramedic gave him CPR and transported him to the hospital in critical condition. Buffamante died at the hospital. The worker was employed by Welkin Mechanical, a construction company based in Queens. According to the Department of Environmental Protection (DEP), the worker was wearing protective equipment.The DEP did not specify what type of protective eqipment. Further investigation will be necessary to determine the exact cause of the accident.